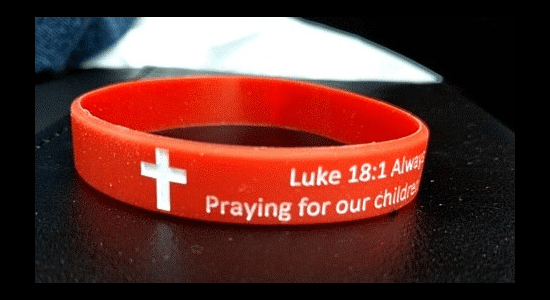 A Christian group called Pray Live has a solution for gun violence in America: They want students to wear a red wristband with a Bible verse on it. How will that stop violence, you ask? Shut up and stop thinking logically. The group’s founder, Wenda Royster, says this will totally work. Okay, but seriously, how does this help end gun violence? As far as I can tell, the wristbands aren’t bulletproof and they only cover a fraction of your body. This is horrible armor. So tell us how it helps! More than two dozen people were slaughtered in a church in Sutherland Springs, Texas. A white supremacist killed 9 people in a church in Charleston, South Carolina. 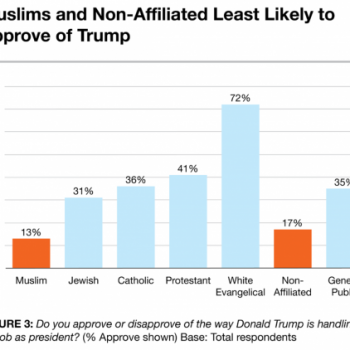 One criminologist found that there were 147 shootings in Christian churches between 2006-2016. Just because those aren’t schools doesn’t change the fact that prayer and God’s Word aren’t protection against mass shooters. You want fewer gun deaths? Get rid of guns. The wristbands aren’t helping anybody.